Last year the great Lucas electrical organisation, on which so many vintage and older cars relied for lighting and starting sets, celebrated its one-hundredth anniversary. From this auspicious occasion it is possible to extract some interesting items of history. For instance, the famous company dates back to 1834, when Joseph Lucas was born in Birmingham, for he started his one-man business of oil dealer in Carver Street in 1860. In 1872 he took premises in Great King Street (at No. 209) to concentrate on making lamps and lanterns and this led to the introduction of the first "King of the road" Lucas lamps for hanging between the front wheel of "penny-farthing" bicycles, in 1878. However, this is taking us into the realms of big business. The items of more interest to vintage-car followers come with the information that Harry Lucas bought his first car in 1899. Its make is not given but, after using several others, by 1906 he was driving to the works in an open, tiller-steered Lanchester. In 1907 he acquired a Wolseley and later he had an 18/24 Austin for which he made a clockwork self-starter, fitted to the nose of the crankshaft and re-wound when the engine was running. The support for local industry is notable and the Austin must have appealed, as it was followed by a 25/30 h.p. model of this make. Prior to 1914 Harry Lucas had also owned a Daimler and Calcott light-car. He was long-lived like his father, dying at the age of 84, in 1939. 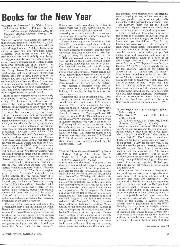 During WW1 he had taken on the manufacture of vitally-needed magnetos, at first at the rate of about 25 a week in a small works at Cheapside, Birmingham, having joined up with Thompson-Bennett. Building restrictions being waived because of the war, this was developed into a seven-storey factory in Great King Street. To the early Lucas lighting sets for motorcycles the Lucas "Magdyno" was added in 1915 and patented in 1917. It is thought to have been tried out first on an ex-French army machine, possibly a Peugeot, bought for £90 by Arnold Egginton of Lucas's, with his Army gratuity. By 1922 over 1,000 a week were being produced. Thompson-Bennett magnetos, later the BTH, had a great many competition successes, commencing with J. Williams' 1920 Junior TT victory on an AJS, followed by AJS winning both Junior and Senior TT races the following year, on Lucas magnetos, as they were then known. To service this equipment Robert Neill and Jock Miller, Lucas' chief magneto-engineer, used to ride about the loM on a motorcycle combination with the necessary spares - Neill became Vice-Chairman of Butler's, which firm Lucas duly acquired. When Tony Vandervell was running Nortons in the TT races he was persuaded to go-Lucas, his CAV business having been taken over in 1926. On the production side, the entire BSA range was Lucas-equipped. Harry Lucas' son Oliver went into the business at 5s. od. (25p) a week but on his 21st birthday in 1912 was given a 38-h.p. Daimler, which was used as a Lucas test-bed, when switchgear was being devised and at one time it carried four dynamos, although fitted with acetylene headlamps. A favourite run was to Bournemouth. In 1913 James Radley used Lucas equipment on his London-Monte Carlo record run on a Rolls-Royce; one lamp was lost but the remaining headlamp allowed an average speed of over 37 m.p.h. for 12 hours of fog and darkness, between Boulogne and Lyons. It was Charles Thacker, from Rolls-Royce Ltd., who as Oliver's assistant, liaised with William Morris; in 1923 he secured Morris' order for all his electrical equipment. Oliver Lucas had suggested that the Morris-Cowley should be given advance-and-retard control from a steering-column lever and Jack Orme was lent by Lucas's to assist with the details. Kenneth Corley, who become Lucas's Chairman, visited the Morris Main Dealers when complaints that they could not sell more cars was blamed on Lucas equipment. The fault really lay in the back-axles, as Corley bravely told W. Miles (later Sir) Thomas, then the Morris Sales-Director, at the 1933 Motor Show. 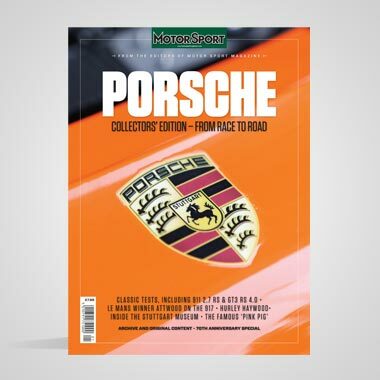 Oliver Lucas' third personal assistant was Bernard Scott based at the Acton depot; he used to spend his spare time at Brooklands helping the two official Lucas fitters at the BMCRC and the car meetings. When Raymond Mays started his BRM project in 1946, Waring became Chairman of the Finance Committee, Lucas contributing much in money, materials and expertise, at a period outside the scope of this section of Motor Sport. At Le Mans in 1929 the victorious Bentleys used Lucas P100 headlamps and when these gave trouble it is believed that Oliver Lucas himself joined W. O. in righting the defect. - W. B.
V-E-V Miscellany. - Terence J. Barnes owns the 1934 1½-litre TT Singer, LM25, which Donald Barnes drove in that race, the team being made up of two sister-cars handled by Roddy Baker and Alf Langley. Barnes retired with a blown gasket and an oil leak, Baker with transmission trouble, but Langley nearly completed the course. These six-cylinder Singers were converted into crab-tracked trials cars for the 1935 season, using some parts from the original 9-h.p. four-seater trials Singers, and they performed well in countless events up to 1937. The Bugatti OC is making elaborate plans for its Golden Jubilee, which is to start with the International Meeting at Cheltenham on June 1st, take in the Classic Meeting at Prescott hill on June 2nd/3rd, and go to Harrogate on June 4th, from whence scenic drives will radiate for the next three days, concluding with a Gala Dinner and end of the rally on June 8th. An Exhibition is also planned at the Gulbenkian Hall in Kensington, London, in the autumn, at which all aspects of the work of the Bugatti family will be on view, and it is hoped to have a parade of Bugattis in Hyde Park. The Packard Club has devoted much of its current issue of its magazine The Packard Cormorant to a description of the 1903 Packard racing-car "Grey Wolf", with a colour cover depicting this car in a Peter Helck painting, and an article on Helck's motor-advertising art ... he was responsible for layouts for Packard lorries and cars and Model-A Ford delivery vans ... with fine examples of these. 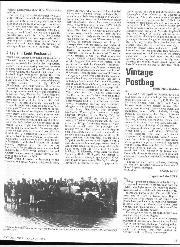 The British contact for the Packard Club is Hans Edwards, 101, High Street, Stevenage, Herts. A reader who owned in the early-1930s a 1927 Chummy Austin 7, a 1931 Ulster Austin and who built a Special based on the Brooklands-model Austin 7 reports that he saw in Spain recently a mid-thirties Austin Seven saloon in an antique warehouse, in non-rusty condition - letters can be forwarded. The prospectus for the 1980 21st International Veteran & Vintage Rally, based on New Zealand, has already been issued and is available from The Rally Organiser, PO Box 2546, Christchurch, New Zealand. The dates of the event are from February 24th to March 8th, 1980. From the current issue of the Fiat Register Bulletin we learn that a Fiat 15TER truck has been restored by Richard Peskett and won a recent Concours d'Elegance. The Rolls-Royce EC is holding its Commemoration of the 75th year of Rolls-Royce at Duxford Aerodrome next September, in aid of the Sir Henry Royce Memorial Foundation, this venue replacing Biggleswade as offering more space for this ambitious "wheel and wing" display. - W. B. Although I was not sent a copy of the new Lagonda History book for review in Motor Sport, I would like to take here a personal look at some aspects of it, as this work by Davey and May (David & Charles, 1978) appeals to me as very thorough, and a book which combines the lighthearted approach of the Club enthusiast with insights into Lagonda's business and financial management, and which seems to have benefited from knowledge gleaned by examination of cars owned by members of the Lagonda Club. 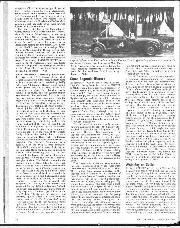 Also, although this is a comprehensive story, when the authors don't know the answers they do not try to find them, thereby leaving some Lagonda history still open to further investigation. The book proved its usefulness early on, when we were querying in the office the high h.p. (12) ascribed to Chris Southall's Lagonda tricar, in last year's Brighton Run programme The Lagonda book confirms that indeed, in 1904, engines of that power were used in these machines. I was interested to see cast-iron con.-rods ascribed to the 11.1 h.p. Lagonda light car, because steel and aluminium is a more usual material, although c.i. pistons were common at this period. References to H. N. Edwards driving 12/24 Lagondas in the trials of the mid-1920s was interesting, as I assume this was the Harry Edwards who became the first Secretary of the BRDC. Then I was to learn that a sporting syndicate ran 2-litre Lagondas in sports-car races when these were new cars, before they turned to MGs. This syndicate later became interested in the Lagonda Rapier. Mention in this big book of those Lagonda Days at Brooklands reminds me that owners with no motor-racing asperations were attracted to them, even to taking part. My mother knew someone who took what I think may have been a 2-litre Speed Model to one of these, in 1929 I think, and would have taken me, then a very keen schoolboy, had he known of my interest, for he was annoyed that the young nephew he did take showed no interest and sat in the car reading books throughout his "treat" ... Naturally, Alf Cranmer features prominently; he was the person who arranged for me, still a schoolboy, to be given an exhilarating run in a supercharged 2-litre Lagonda round the country roads near the Staines factory, although I do not think he had realised my age when he did this. These blown Lagondas used Cozette, Powerplus and Zoller superchargers, in the course of development. The MCC trials were, as the book emphasises, a prominent stamping-ground for Lagondas before the war and they did extremely well therein; one driver is described as winning a special plaque for having gained gold medals in all three of them one year and later the delightful MCC Triple Award is mentioned, a signpost carrying three silver direction boards pointing respectively to Exeter, Land's End and John O'Groats. 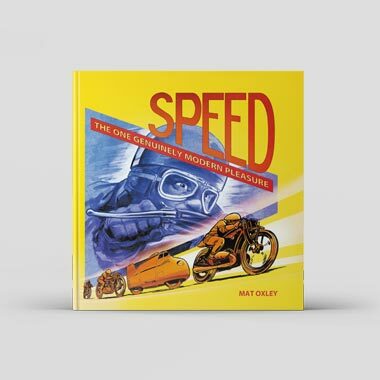 Many Press reports and road-test findings are included in the text of this book but I am sorry that the authors do not refer to Motor Sport's coverage of the V12 Lagonda. I remember having a medium-wheelbase saloon to try in 1941 (No. 16063) which one evening, accompanied if memory doesn't deceive by my then-henchmen, D. S. Jenkinson and Jim Brymer, I took to a 750 MC meeting in Surrey as Battle-of-Britain vapour-trails criss-crossed the blue sky above us. (It was Victory-V Sunday). 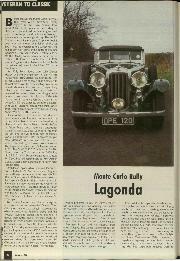 I think maybe the joint-authors of the new Lagonda book had tired a little towards the end, for they do not include mention of this long road-test report, nor of those Motor Sport did of the post-war W. O. Bentley 2.6-litre and 3-litre Lagondas, with an interview I had at the works about the design details and I thought for one terrible moment that they had forgotten HRH Prince Philip's Lagonda enthusiasm, because they hadn't, but HRH's name is not in the Index. 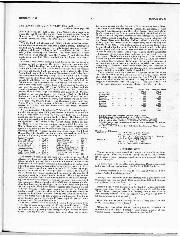 There is, however, a wealth of information about the racing V12 Lagondas.... - W. B. In my report of the 1978 Veteran Car Brighton Run last month I said that the British Leyland 1901 Wolseley I drove was on solid tyres that I thought was a later modification. I wrote that after inspecting the wheel rims of the car, which looked as if they were intended for pneumatic tyres. However, I may have done this ancient Wolseley an injustice, inasmuch as solid tyres were a standard fitting on these 10-h.p. two-cylinder Wolseleys in contemporary firms. The first catalogue issued from Adderley Park in 1901 listed this model at £380 with a tonneau body and on pneumatic tyres but at £20 less on solids. Moreover, prospective purchasers were advised that while pneumatic tyres were recommended for speeds of over 20 m.p.h., solid tyres of suitable size were adequate for slower speeds and where economy was a consideration. Various photographs show these Wolseleys on solid tyres. So I am prepared to give the ancient Wolseley in BL's Historic Car Collection the benefit of the doubt. Certainly our solids, slightly larger on the back than on the front wheels, gave no anxiety on the Run, nor were they responsible for the defect which made the steering ridiculously heavy, so that I found it quite a task to make the Wolseley weave about for the last few hundred yards of the journey, in order to persuade the last drop of petrol to enter the carburetter from its almost dry tank, apart from the difficulty of steering a decent course on the road.- W. B. There has perhaps been sufficient about Parry Thomas' Leyland Eight in Motor Sport recently to satisfy his most ardent supporters. However, a most interesting new item has come to light, which merits inclusion. Wondering why Michael Collins, the General shot while in a Leyland Eight touring-car during the Irish troubles of 1922, used one of these rare cars. I ventured to ask Rex Taylor, author of the book "Michael Collins - The Big Fellow" (Hutchinson, 1958, Four Square, 1961). In this interesting and detailed book I had read that Collins spent some time in Wales and wondered if he had met Parry Thomas. Mr. Taylor does not think so. He says that the Leyland Eight had previously been used by General Sir Nevil Macready, the British Military Commander in Ireland. It seems that Collins obtained it by "eye-winking theft", and as the only people at the time who were capable of working out the terms of a peace treaty were Collins and one other man (Griffiths), the British Government gave Collins more or less what he wanted and turned a blind-eye to the theft. Indeed, Collins thought the big rugged Leyland Eight just the car he needed, took it, and the open-handed Government then presented him with it. It seems that after his death in the 1922 ambush at BeaIna m Blath the car went back to Parry Thomas, complete with bullet-holes. I am indebted to Mr. Taylor for this information. Did Leyland Motors, or Thomas himself, originally give the car to the Government for the British cause, one wonders? Incidentally, a Rolls-Royce armoured car and Crossley tenders were in Collins' convoy at the time of the ambush. - W. B.
V-B-V Odds & Ends. - According to the Manchester Evening News a 108-year-old lady, Emma Burrows, who lives in a Hulme old-folks' home, was a domestic servant to Henry Royce when he and Rolls were working in Manchester on the very first Royce car. An Australian reader seeks information about his recently-acquired 1914/15 24/30 h.p. 85 x 150 mm. SAVA, which has the expected o.h. exhaust and side inlet valves. The chassis is virtually complete and if the necessary data is forthcoming it is intended to put a replica TT body on the car. 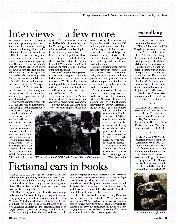 At one time, just before the war, two SAVAs were in this country, so perhaps someone can help our correspondent with mechanical and bodywork details? A pre-war or just post-war Rover, very derelict, is reported from an Oxfordshire scrapyard letters can be forwarded. 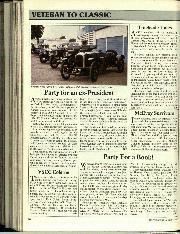 To set the record straight, it was Alec Park who drove Leyland Historic Vehicles' veteran Thornycroft on the Brighton Run and in the caption to the picture of Sir Malcolm Campbell's "Bluebird" on page 1792 of last month's issue the reference to Roxted's showrooms should have read Rootes' showrooms. Then the pictures of model Citroens on page 1780 came from Citroen's photographic archives but I was not aware that they have a collection of such models. And it was Bill Martin, one of Count Zborowski's men, who was sent to bring the Lancia Lambda depicted on page 1784 from Cannes to Canterbury in 1924, not Ben Mills, who was the Countess Zborowska's chauffeur at the time. To help the funds of that most-deserving and active Club, the Morgan Three-Wheeler Club, a 1979 Calendar has been issued, illustrating sporting and more-staid Morgans it is obtainable from the Secretary, Neville Lear, Woodlands, The Holloway, Droitwich, Worcs., price unknown. Stanley Sedgwick, President of the Bentley DC, has completed yet another painstaking task in writing a further Bentley monograph, this time about the R-Type Continental model, of which Sedgwick himself owns the prototype Continental "Olga". 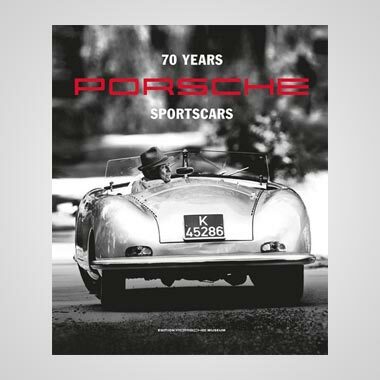 This most attractive 65-page book is profusely illustrated and contains all the meticulous detail, and particulars of all the R-types produced, with Reg. Nos., etc., for which Sedgwick has become so noted, together with a 1952 Autocar roadtest and pages from a Bentley Continental catalogue. Copies are obtainable for £4.50 each, from the BDC, W.O. Memorial Building, 18, Chearsley Road, Long Crendon, Aylesbury, Bucks, HP18 9AW, but supplies to non-members are scarce, so apply quickly, if you want to add to your store of Bentley knowledge. 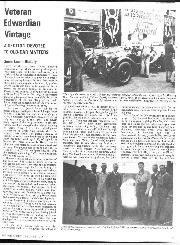 Inevitably, in reporting on its front page on last year's parade of cars round Birmingham, the Birmingham Post referred to the Bugattis as Italian cars. A lady who was a cousin of the Hon. C. S. Rolls is living in the Isle of Mull and remembers Brooklands when it was an active race-course. R. J. Burrell, who races his Bentley Royce in VSCC events, has acquired a 38/250 Mercedes-Benz Thrupp & Maberly drop-head, Reg. No. LAL642. In 1950 a tank engine was substituted for the original engine and about ten years ago this was changed for the engine from Burrell's 1923 Bentley. Now that he owns this Mercedes-Benz Burrell is anxious naturally to install the correct engine and would be glad to hear of any that are available. Jack Willcocks who was engineer to Kaye Don on the latter's motor-boat records and who was the sole survivor when Segrave crashed fatally when breaking the World's Water Speed Record at Lake-Windermere, has died at Clevedon. - W. B.